Our final day in Slovenia began with a visit to one of the most famous sites in the country, Predjama Castle. The castle in its current form dates back to the Renaissance (16th century) but a castle has existed in this site since the 13th century. 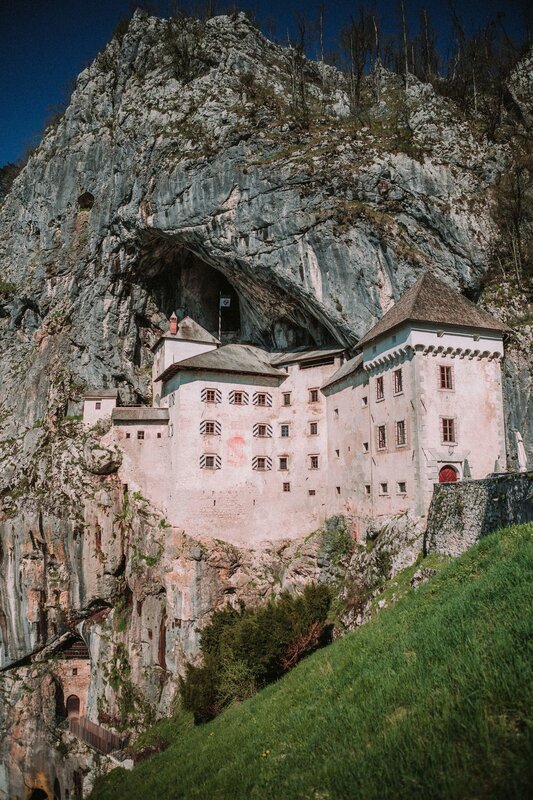 At one time a knight by the name of Erazem Lueger was the lord of Predjama. Robber barons — feudal landowners who used their status and legal protection to steal all kinds of stuff from pretty much everyone — were apparently a thing, and this dude Erazem was one of them. Prone to trouble of all kinds, eventually Ezarem crossed the Habsburgs by killing the commander of their imperial army. He was betrayed by one of his own men during the subsequent siege of Predjama Castle and finally killed by a shot from a cannon. While admiring the building we met some friendly castle cats, pet them and watched them soak up the morning sun. We couldn’t help but ponder how likely it might be that these cats’ very ancestors were hunting mice and sauntering around the same grounds during the time of Ezarem and his feudal era mischief. 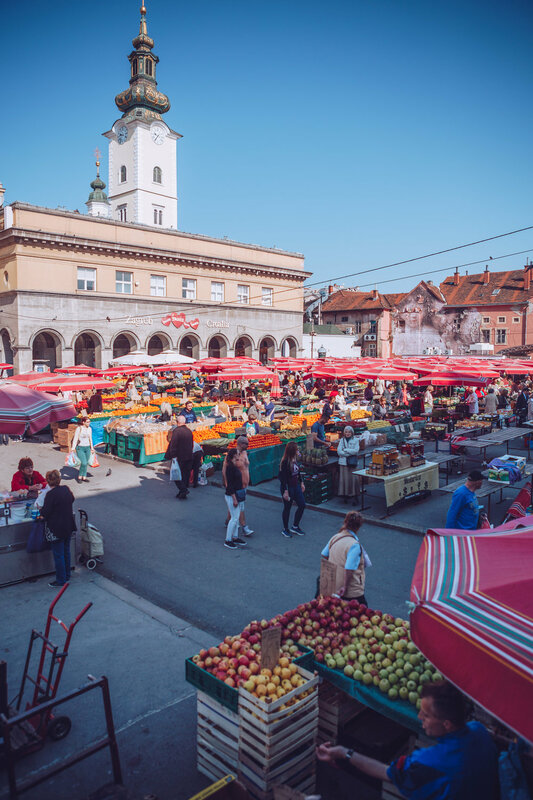 After returning our rental car at the Ljubljana airport and bussing back to the city's center, we then made our way on train to the capital of Croatia - Zagreb. We found a pleasant, medium-sized town full of markets and afternoon bustle awaiting us. Soon, golden hour fell on the city and we ate dinner in one of the many large pedestrian promenades lining the town center before retreating to our accommodation for some rest and wifi.